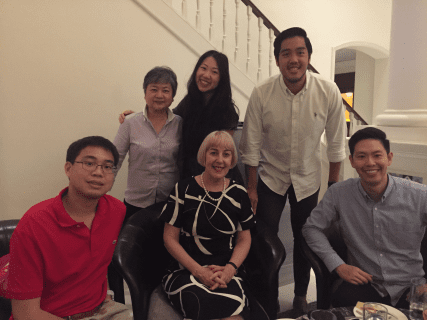 Head of College, Dr Jennifer McDonald hosted UC alumni living in South East Asia at a small gathering in Singapore on Tuesday 27 March, 2018. As part of ongoing global alumni engagement efforts, University College is embarking on a broad engagement program including domestic and international activities. With over 6,000 alumni living in over 45 countries, the University College community is indeed a global community. Dr McDonald will be hosting alumni reunions in Canberra (May), Perth (May), Sydney (June), Brisbane (July), Hobart (July) and Adelaide (August). If you have recently moved and would like to ensure you receive the most up to date invitations, please update your contact details.